Ho-Chunk Inc. has acquired a majority stake in the Terra Centre and plans to rename it for the Winnebago Tribe's economic development division. 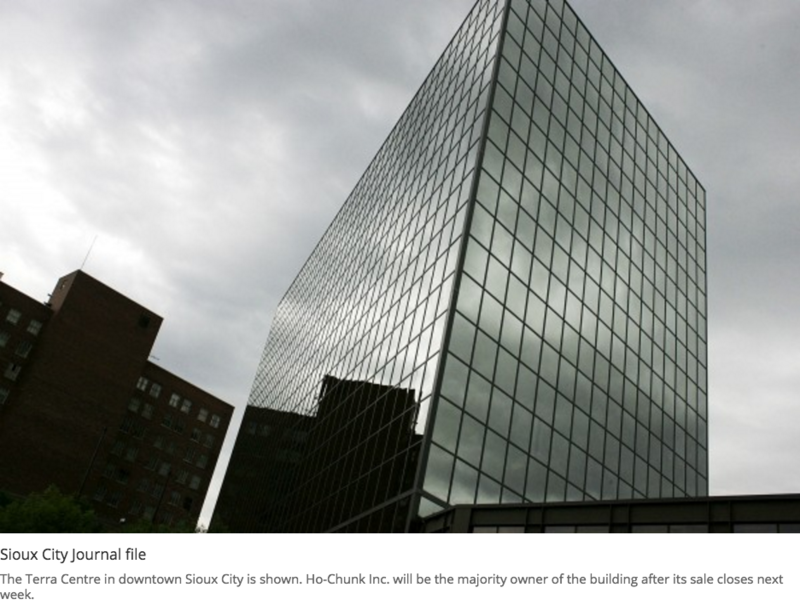 "We just bought the largest building in Sioux City," Ho-Chunk CEO Lance Morgan told an audience in Lincoln, Neb., on Wednesday. "Basically, that's going to be called the Ho-Chunk Centre."